Walking Genoa's streets, squares and alleyways is a continual surprise. Behind every corner there is a small or large treasure waiting to be discovered. Welcome to the Mercure Genova San Biagio hotel, with modern hospitality and flavors of the past. 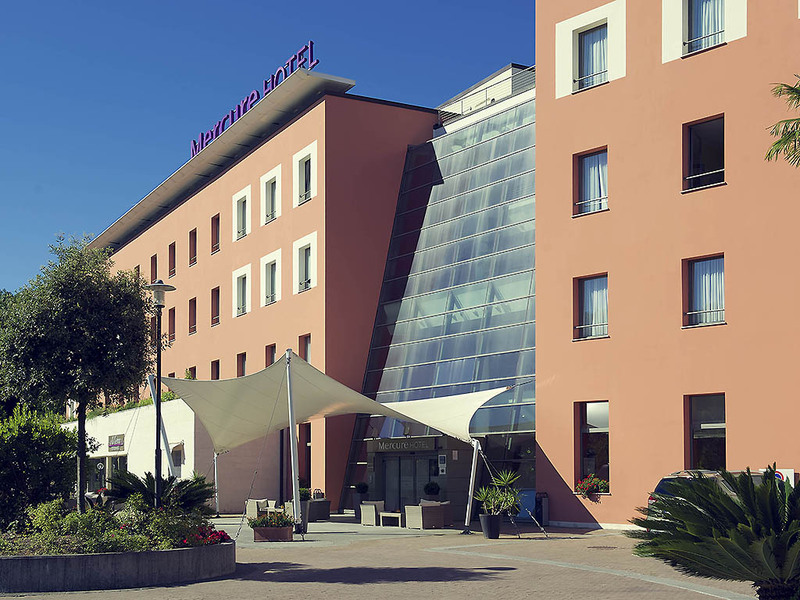 The Mercure Genova San Biagio, a modern, 4-star hotel located in a green setting a short distance from Forte Sperone, near the main routes into Genoa, 7.5 miles (12 km) from the center, is the perfect solution for business travel and tourism. The hotel has 120 rooms equipped with all the high end comforts to make you feel at home, a restaurant, an American bar and a modern conference center, suitable for all types of events and meetings. Free WIFI throughout the hotel and a large car park. The historic city center is within easy reach of the Mercure Genova San Biagio hotel by taxi or public transport. The Nervi parks, a splendid botanical complex, are also just a short drive away. Online check-in and fast check-out, free WIFI, free Internet point. Spacious modular meeting space divided into 3 rooms for events, conferences and training courses for up to 270 people. Large free outdoor car park and coach parking space. 120 spacious and welcoming rooms equipped with complimentary WIFI, LCD TV with national and international channels, air conditioning and minibar with complimentary water. Double Rooms available with a crib and also for people with reduced mobility. The Al Serro restaurant, bathed in light thanks to the huge terrace it overlooks, offers a selection of regional and international dishes. Perfect for business lunches and receptions for up to 270 people. The La Terrazza bar, attached to the Al Serro restaurant, welcomes guests for a pleasant break, an aperitif or a romantic after-dinner drink to sip while enjoying the colors of the sunset.